The central focus of the Proprietary School Certification Program is consumer protection. This is accomplished through the establishment of standards for school operation and monitoring of those operations to ensure students are treated in a fair and equitable manner and receive education and training consistent with the published objectives of the instructional programs and the school. In short, the MDHE’s Proprietary School Certification process exists to ensure that a school stands for a legitimate purpose and mission, teaches a valuable program or programs of study, and follows certain operating standards and procedures in order to standardize the education experience and protect students from any misconduct. 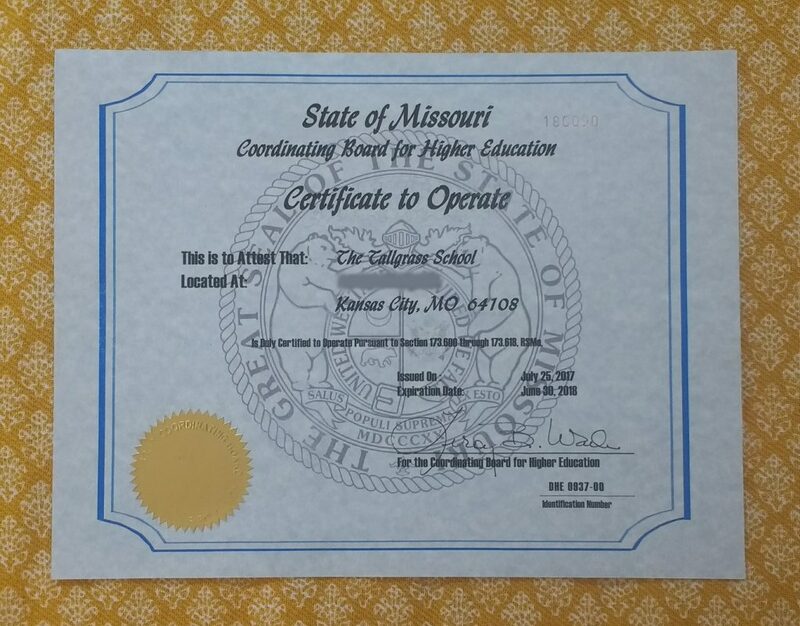 After initial certification, each school must re-certify every single year in order to prove that they are maintaining the required educational standards. As stated above, the process probably isn’t the most intersesting topic to get into the nuts and bolts of, but it involves creating many sets of documents (such as program outlines, course catalogs, student handbook, school policies, transcripts, and more), detailing of school operational plans, getting approval of a physical location, proving that the school is financially solvent, and verifying that the school’s instructors do, in fact, have the expertise to teach the topics their programs cover.